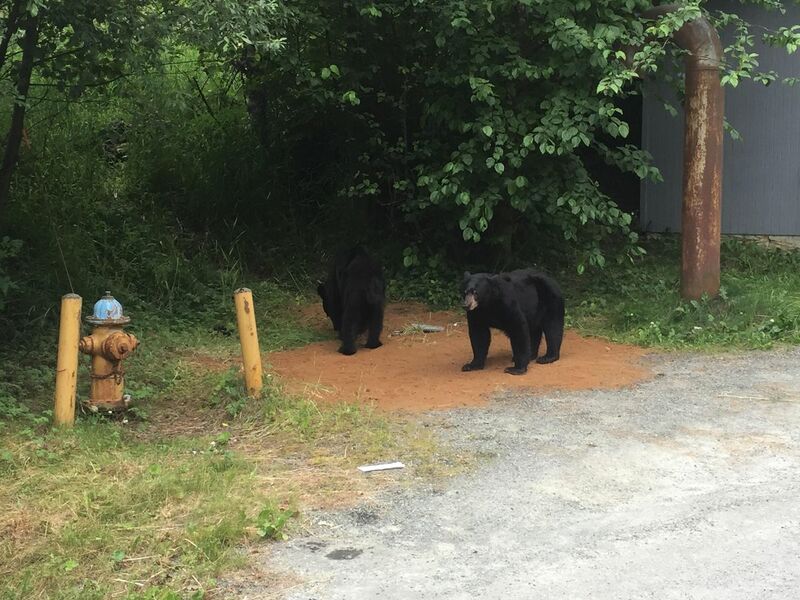 A Juneau woman was cited Thursday after Alaska Wildlife Troopers say she dumped a large amount of fish meal on the ground that attracted black bears to the area. Alaska Wildlife Troopers cited Nicolle Hogan, 46, with negligently feeding game. Troopers said that, around July 30, Hogan had "discarded a large amount of fish meal" at the end of Lee Court, near the intersection of Back Loop Road in Juneau. At least three black bears had since been seen feeding off of the fish meal, spokeswoman Megan Peters said in an email. The Alaska Department of Fish and Game removed around 200 pounds of contaminated soil and fish meal from the site, Peters said. "Even after that some (fish meal) remained and an odor of rotten fish lingered for many days," Peters said in an email. Hogan was issued a $310 citation, troopers said. She could not immediately be reached for comment.